Buzz Oates can't sleep. He is up most nights in his spacious Sacramento home, watching preachers on late-night TV or reading Scripture. Often, one of the wealthiest men in the area ponders his legacy. On a day after another restless night, Oates drove down a rain-slicked Fulton Avenue in his black Mercedes-Benz S550. He pointed to an empty lot. "See that?" he said, smiling. "We just bought it." He barely slowed down. At 86, he is still moving ahead. Oates made his estimated $500 million fortune in real estate, and his developments dot the Sacramento landscape. For more than half a century, he has been one of the premier developers in the Sacramento region. Oates is also a Christian whose devout faith has influenced the area as much as his office buildings. Thousands worship in church buildings donated by Oates or on land he sold at a reduced rate. Pastors credit him for paying for their education, sponsoring missionaries and giving to Bible colleges. Last year, after a cancer scare, the man Forbes magazine listed in 2005 as one of the 400 richest Americans realized that the building he is most proud of is not an office park or a warehouse. Oates drove up to the beige two-story building in a quiet Lincoln residential neighborhood. 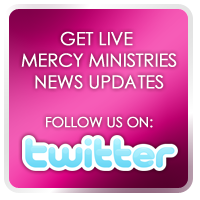 Mercy Ministries, a Christian-based group home for women, opened last fall. About 40 women, recovering from drug addiction, sexual abuse and other problems, find sanctuary there. They receive free room, board and counseling. Oates gave more than $3 million. Kathy Fairrington, the youngest of Oates' five children, greeted him. She sits on the board of Oates' $17 million charitable trust and helps determine which groups receive his money. The two walked through the group home. "After all these years doing this, this is the building that means the most," said Oates. "The people here are doing God's work, and that's what I'm thinking about most these days." Critics often blame him and other developers for causing the region's sprawl and making money off it. Ask around town, though, and others who have worked with Oates see him differently. "A smart businessman," said Joe Benvenuti, a developer who has known Oates since 1949. "He loves his work, he loves this city, and he loves making a deal," said Christo Bardis, a former partner, who won a lawsuit against Oates and now calls him his friend. What is less well known is the role Oates has in the faith community. "People have no idea what a difference he has made," said Scott Hagen, founding pastor of Harvest Church in Elk Grove. Oates gave a bowling alley on Grant Line Road to Harvest. He also sold church leaders 22 acres nearby at a reduced price. Hagen said Oates does more than write checks. "He calls church leaders with ideas," said Hagen, now pastor of Mars Hill Community Hills Church. "Buzz is always looking for ways to help the kingdom." The troubled women seeking help at Mercy Ministries find first-rate accommodations, with comfortable bedrooms and the latest in multimedia equipment. "Why not give them the best of the best?" Oates said. "They've been through a lot." Kaci Davis, who works at Mercy Ministries and is a member of Abundant Life Fellowship in Roseville, said Oates' philanthropic acts have influenced churches all over Sacramento. "He has been very generous," Davis said. Oates said he hasn't always put his faith in God first. "I've left him at times in my life," he said. "But he has never left me." Larry Allbaugh, CEO of the Buzz Oates Group of Companies, has known Oates for 20 years. "He is a dichotomy," he said. "He can be a tough businessman, but he is also not afraid to talk about his faith. … He is a very humble man." Marvin "Buzz" Oates is a fourth-generation Sacramentan, one of two children. His father was a sheet-metal worker for the Southern Pacific Railroad, and his mother was a homemaker. Oates was a bombardier in the Army Air Corps in World War II. He returned home to open a locksmith business. Oates loved to talk with his customers, many of them builders. Oates' business, A&A Building Supply, grew and, eventually through his contacts, Oates started building. Benvenuti met Oates at Bethel Church after the war. They worked on some of the area's biggest land deals. Benvenuti said Oates' faith has influenced how he approaches business. Benvenuti said a handshake struck the deal. "We never had any problems," Benvenuti said. The two have remained great friends, said Benvenuti, "even though he built five times more than I did." Oates' company is now a diversified conglomerate that manages more than 24 million square feet of commercial property and owns most of it. It owns land in California, Texas, Arizona and Utah and also operates a commercial real estate agency. Average annual revenue exceeds $75 million, according to Allbaugh. The recession hit the company, which laid off half its employees over the past two years. Oates' management team now runs the firm, but he still heads into the office daily. He has no plans to retire. He has become less business-oriented and more interested in his spiritual growth. "That's what I want now," said Oates, smiling. "To love and serve the Lord." Oates has had his share of business troubles. In October 2002, a Sacramento Superior Court jury found Oates had committed fraud against his former partners Bardis, Lloyd and Nancy Arnold and Frank C. Ramos in a $71 million deal. The jury imposed a $7 million verdict, later reduced to $1.5 million, against Oates. Oates called the verdict devastating. "It really shook me up," he said. Last year, Oates and Bardis ran into each other at the Zinfandel Grille in Sacramento and renewed their friendship. "It was a misunderstanding between two stubborn people," Bardis said. "In hindsight, I wish I hadn't brought the lawsuit. Buzz is a good guy, a generous man. I would do business with him again." Oates was also sued by a church he once tried to help. In 2003, Tony Cunningham, pastor of Radiant Life Church in Elk Grove, sued Oates for fraud. Church leaders later agreed to drop the suit and took out a full-page ad in The Bee apologizing to Oates. "I don't wish him ill," said Oates. "Life is too short for grudges." Fairrington said her father has mellowed in recent years. "He spends more time with the family, and he's also become a more spiritual man," Fairrington said. She is married to the Rev. Greg Fairrington, senior pastor of Sunset Christian Center in Rocklin. Every week the extended family gathers there for church. Her father rarely misses attending. "I don't think he's ever been happier," she said. Oates has all the trappings of wealth, but his material success is not what he values. He lives in a 5,000-square-foot home. He uses only a few rooms – the kitchen where he prepares his morning cereal, the elevator, the master bedroom and his office where he reads his Bible. Oates has been married twice. His first marriage ended in divorce 35 years ago. His second wife died from cancer in 1992. His house is rarely empty. His daughters and their families often visit. On a recent afternoon, Oates walked into a room near the entry. "This is the Africa room," he said, beaming. It is decorated with art he collected on his African trips. He owns four or five houses. "I can't remember how many exactly," he said. They include a 5,000-square-foot home in Rocklin that he has stayed in once. He owns several cars and a Cessna Citation, which Oates and family flew to see superstar preacher and family friend Joel Osteen preach at Dodger Stadium. Oates has been generous to family and friends, although he is also thrifty, shopping at Smart & Final for groceries and stepping off the accelerator in his Mercedes to save gas. Two years ago, he flew 43 members of his family to Hawaii. "Did I pay for that? You know, I don't know," he said. People often ask him for money. "He has a hard time saying no," Fairrington said. He now tells people to contact the board, which makes the final decision and distributes $850,000 annually. Oates has diabetes and injects himself daily with insulin. He had most of his pancreas removed last year after doctors thought he had cancer. His hearing is not what it used to be. Still, Oates described his health as good. "I guess I have the same things other people my age have," he said, laughing. "I'm just getting old." On those sleepless nights, when he is up until 4 a.m., he thinks about the past and the road ahead. His thoughts often drift to Matthew 19. The deal maker knows it well. "When I pray, I say, well, God, are you going to let me in?" Last Sunday morning at Sunset Christian Center, Oates surveyed his surroundings. He saw the praise band on stage, worshippers standing with arms raised, and his extended family in the front rows. The women from Mercy Ministries waved from a few rows over. Halfway through, Oates sat, unable to stand any longer. He closed his eyes and thanked God for his blessings. Jaime Jamgochian Visits the California Home! Recent Graduate Celebrates a New Addition! The Branch Family Church Volunteers in Nashville! Mercy Graduates on Mission Around the World! Nashville Predators Score for Mercy Ministries!